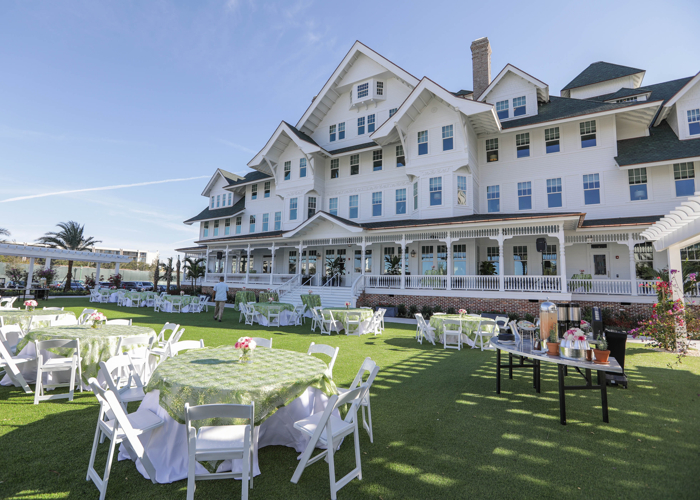 The historic Belleview Biltmore Hotel has been renovated and reimagined as the Belleview Inn, now the centerpiece of JMC Communities’ Belleview Place, a gated community in Belleair, just south of Clearwater. The inn retains some of the original hotel’s distinctive features, including the grand staircase in the lobby, fireplaces, heart-pine plank flooring and Tiffany stained glass. Henry Plant built the hotel in 1897 during the “Gilded Age” of tourism 1897. It was popular winter resort for industrial tycoons like the Vanderbilts and DuPonts; athletes such as Babe Ruth and Joe DiMaggio; and presidents, including more recently, Jimmy Carter and Gerald Ford. One of the original hotel’s most noteworthy characteristics was its rambling wood frame structure -- said to be the largest occupied wood frame building in the world. It also featured a distinctive Queen Anne-style Victorian architectural style with peaked gables, overhanging roofs, and wide verandas. Steam-generated electricity powered the lights for the hotel’s public areas and 145 guest rooms. A view of the Grand Lawn at Belleview. The original hotel closed to the public in 2009 after undergoing several ownership changes. Its transformation began in 2016, with JMC Communities acquiring the property. JMC agreed to retain and upgrade a portion of the landmark hotel and decided to move the 28,000-square-foot structure, a task that involved lifting up and moving the building on rollers to its new location. During the renovation, the hotel received a major facelift, as well as the addition of a resort-style pool and sundeck, fitness center and café. In a testament to the original hotel’s legacy, historic photos, documents and information are now on display in “Mort’s Reading Room,” while the original Tiffany glass panels are now located in the “Tiffany Room,” a small event space overlooking the front porch and lawn. The hotel now has 35 guest rooms and suites. Henry Plant was among the early pioneers connecting Tampa Bay and southwest Florida by railway. In addition to the Belleview Biltmore, he built the Tampa Bay Hotel, now the Henry B. Plant Museum on the University of Tampa campus. For more information, visit the Belleview Inn website.